Aerial view of Sutherland-Wilson Farmstead, 1958 Click image to enlarge. Once the home of megafauna such as mastodons and, later, buffalo, Pittsfield Township was the crossroads of native peoples for more than 10,000 years. 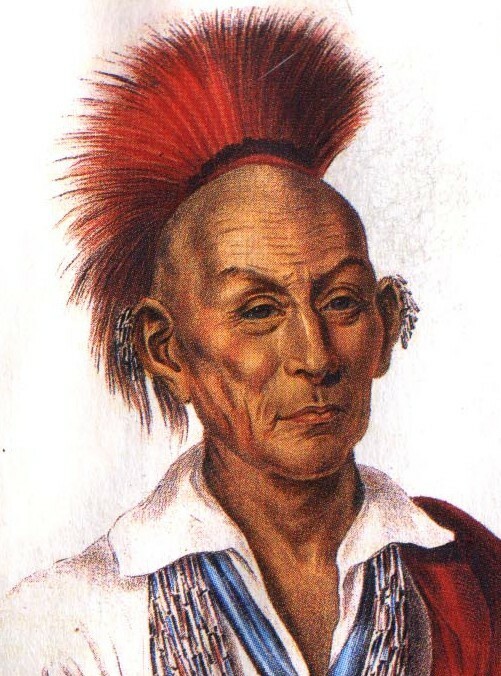 In the early 1800s, the famous Sauk Indian chief, Black Hawk, crossed through Pittsfield Township with other indians from the junction of the Rock River and Mississippi River (in Illinois) on their annual trip to Malden (in Canada) to recieve tribute payments from the British. In his autobiography, Black Hawk also records coming through the township to fight on behalf of the British during the War of 1812. The first European settlers began to arrive in Pittsfield during 1824. 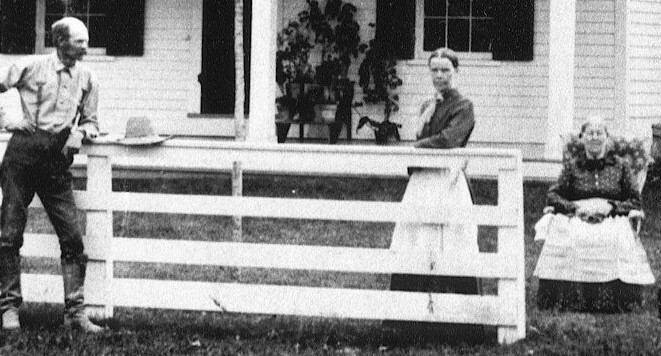 They struggled to establish farm homes in the Michigan wilderness. Most of these emigrants came from New York, New England, Pennsylvania, and Virginia. A number of black families were among the early settlers and property owners in Pittsfield Township. During the summer of 1825, Pittsfield erected the first schoolhouse in Washtenaw County. Built of logs, it was located on the northwest quarter of section 11 (south of Packard 7/10th mile west of Carpenter Road near the corner of Packard and Platt Roads). By 1834, nearly two-thirds of the land in Pittsfield had been sold by the government land office in Detroit, resulting in enough residents to establish a township. By an act of the Territorial Council, Pittsfield was formally organized, and the first town meeting was held in April 1834. Township residents selected the name Pitt, later Pittsfield, for their township's name in honor of the British statesman William Pitt the Elder, who was an advocate of representative government prior to the American Revolution. Pittsfield Township became a charter township in 1972; it was the first Charter Township in Washtenaw County. Today, Pittsfield Charter Township is the third largest municipality in Washtenaw County. The present population is approximately 37,000. It is this diverse and rich heritage that the Pittsfield Township Historical Society works to document, preserve where possible, and bring alive again -- through displays and this website -- for the benefit of current and future generations. Historic preservation efforts include restoration of the historic Sutherland-Wilson Farm, which is owned by Pittsfield Charter Township. The Historical Society also manages the Township Historical Archives, which are located at the Community Center at 701 W. Ellsworth. Historical Society display cases are located in the lobby of the Administration Building, 6201 West Michigan Avenue, and at the Community Center at 701 W. Ellsworth. The display cases feature items related to Pittsfield Township history. Source Note: The picture of Black Hawk is from the North American Indian Portfolios courtesy of the Library of Congress. Made between 1832 and 1834, Bodmer and Catlin prepared most scenes of Indian life while McKenney and Hall did the portraits. This portrait is titled MA-KA-TAI-ME-SHE-KIA-KIAH. OR BLACK HAWK - A Saukie Brave. The image is contributed by Valeri L. Valoppi. Click image for a larger version. Content: © 2002-2019 Pittsfield Township Historical Society. All rights reserved.